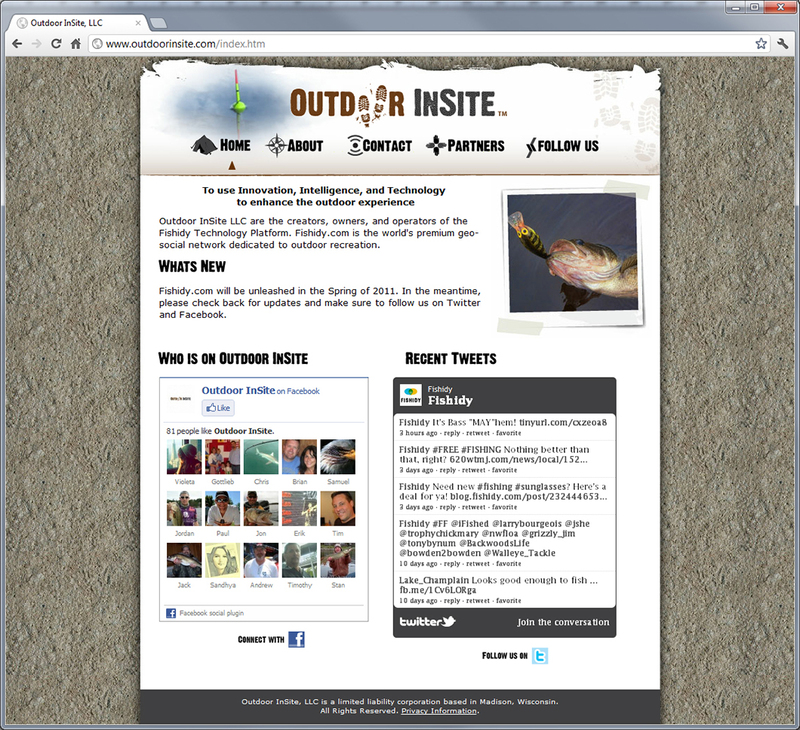 Outdoor InSite is a unique site that really wants to get the fishermen and outdoorsmen involved using social media like Twitter and Facebook. I designed the interface with this marketing aspects in mind. We designed a rugged and techy looking site that is aimed at getting the attention of investors and consumers.